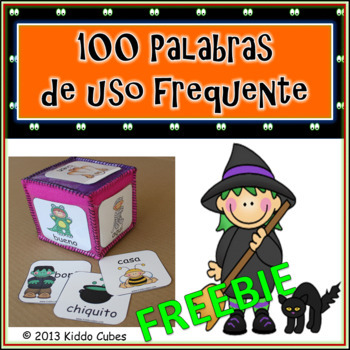 " Palabras de Uso Frecuente-Halloween"
Cien Palabras de Uso Frecuente with a Halloween flavor. 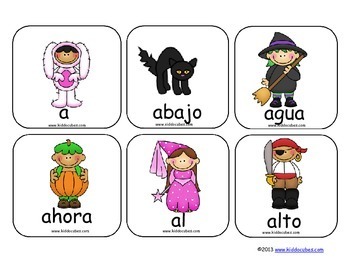 in a whole class setting and for small groups and/or centers. 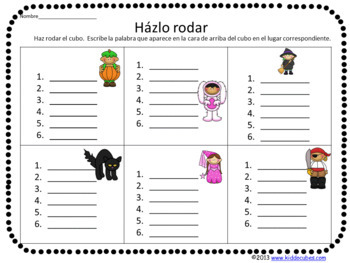 100 plus word inserts, three activities and a record keeping sheet are included in this download. The inserts can be used in multiple activities at the same time.